Preservation Texas, founded in 1985, is the only statewide organization dedicated to being the advocate for the historic resources of Texas. We advocate on behalf of our membership and local affiliates for actions by public agencies, private organizations and citizens to protect, restore, and insure economic benefit from historic building, places, artifacts and archives. How Do We Accomplish Our Objectives? Educating members and constituents on key issues. Click here to receive updates from PT including our weekly e-newsletter, Preservation Texas Reporter. Developing position statements on statewide issues. Working with other organizations and individuals in supporting or opposing issues of mutual interest. Monitoring legislation that impacts historic resources. Do you know of an advocacy issue? Would you like to request intervention or assistance for PT? Historic preservation creates jobs, including skilled craft jobs, generates investment on Main Street in smaller towns and prompts reinvestment in historic districts in larger cities. Heritage tourism in preservation-focused communities drives increased revenue for local governments and for the State of Texas through sales tax revenue, hotel-motel tax revenue, and increased property values. New economic activity in preservation-oriented communities generates at-home jobs for Texans. 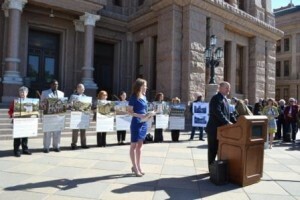 Preservation Texas (PT) will continue to spotlight the state and local economic benefits of historic preservation. See the report linked below for more information. Economic Impact of Historic Preservation in Texas – Center for Sustainable Development at The University of Texas at Austin and the Edward J. Bloustein School of Planning and Public Policy at Rutgers University.